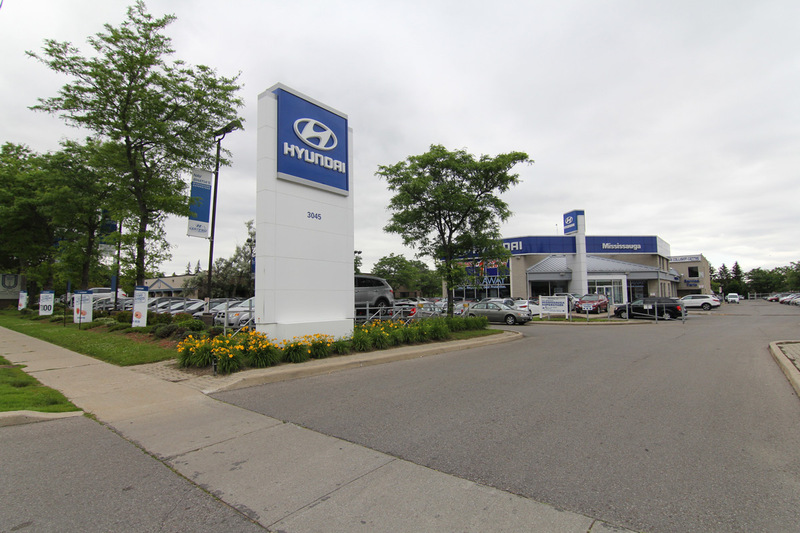 Located at 3045 Glen Erin Dr. in Mississauga, we are proud to serve the entire GTA with all of their car buying needs. Our goal is to discover the needs of our clients and then far exceed them. With a huge inventory of both new and used vehicles, come by the showroom to test drive your favourite. New arrivals on the floor include the Genesis Coupe, the 2017 Elantra GT, and the Sonata Hybrid. We have a finance team who works diligently to get you into your chosen vehicle, and a full-service parts and service department that is open 7 days a week for the convenience of our customers.